Originally published on February 8, 2019 in OrganicBiz. Manitoba Agriculture has released its latest organic crops cost-of-production figures and once again the production system is stacking up well against conventional agriculture. 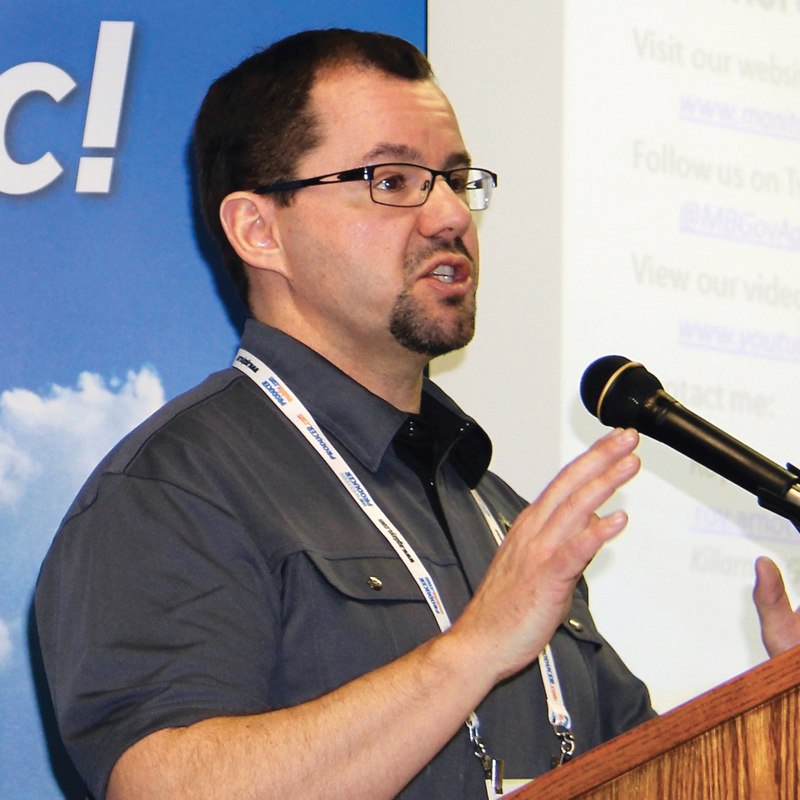 Higher production costs are typically met by higher prices, which more than offset the production lag organic growers can experience, Roy Arnott, a farm management specialist with Manitoba Agriculture’s Killarney office, told producers at Ag Days in Brandon. Conventional farmers by comparison have tighter margins and less room for error and production setbacks and price drops can be especially costly. “It’s a much tighter path to profitability on the conventional side,” Arnott said during his annual presentation. On the organic side of agriculture, most crops proved to be profitable, with the exception of soybeans, and the most profitable crops were hemp, wheat and winter wheat. Total cost of production is calculated at $473 an acre for organic hemp, organic wheat at $442 an acre and $433 an acre for organic winter wheat. The cost of production for these crops also includes the added expense of organic practices, such as a year of green manure to build soil nutrients, amortized over the following three seasons. By way of comparison, conventional winter wheat would cost about $370 an acre to grow, according to figures from the province. However, the prices received for both put the organic production system on top. Organic winter wheat was factored at $13 a bushel while conventional winter wheat was just $5 a bushel. Organic hemp has a margin over total costs of $255.45 an acre, wheat came in at $188.10 an acre and winter wheat at $152.43 an acre. The sole money-loser was organic soybeans, with a per-acre loss of $82.25. On the conventional side soybeans and canola are tipped as most profitable crops in the rotation. Their margins over total costs were far lower however, at $45.86 and $16.42 per acre, respectively. Arnott did caution the assembled growers that, as always, cost-of-production estimates were dependent on both yield and price and that the upcoming season would always be an unknown. “What’s coming in 2019? I haven’t got a clue. There’s lots of uncertainty and instability in the world these days,” he said. He noted key risks including political and trade instability, the possibility the Canadian dollar could change in value and climate and weather uncertainty. Arnott urged organic farmers to have a true understanding of the financial picture of their farm, including knowing their cost of production per bushel, rather than per acre. “You don’t sell acres, you sell bushels,” he said. To that end he suggested calculating a break-even price, which is simply the cost per acre divided by yield. Selling at that price would cover all expenses, but yield zero profit. Once farmers know these figures they should then stress test their profit scenarios by stress tests that drop both yields and prices. Arnott ran some figures for organic producers that lowered prices by 10 per cent and yields by five per cent. “It definitely tightens up profitability,” he said. Under this scenario, organic growers saw oats join soybeans in the unprofitable column, with a loss of $24.28 an acre, and losses on soybeans climbed to $142.25 an acre. All the other crops remained in the black, though profitability did dip. Hemp still returned $140.89 an acre, wheat $92.79 an acre and winter wheat $70.53 an acre. Under an identical scenario, conventional growers would see losses across the board. Canola and soybeans, formerly the most profitable crops, would now see losses of $47.38 an acre and $15.74 an acre. Where organic production did have an issue however, was its ability to manage risk through crop insurance, as coverage does not necessarily reflect the higher value of organic crops or the higher cost of production. Looking at an insured value of 80 per cent, between 115 and 140 per cent of conventional operating costs were covered by insurance, depending on the crop insured. Under an organic scenario, only 60 to 80 per cent of operating costs were covered. All of this adds up to a production system that’s more economically resilient than its conventional competition, Arnott said. He noted that calculations point to the organic system’s ability to better support land purchases. Arnott noted that many conventional farms are high-equity operations, which is a good thing for them, because they need that equity in order to cover the risks associated with securing new land if they purchase instead of renting. Arnott ran through some scenarios on screen that compared a high-equity (75 per cent equity) conventional farm with a low-equity (25 per cent equity) organic operation. The high-equity conventional farm could pay $3,751 an acre for land and cover costs, assuming a 20-year term and an interest rate of 5.5 per cent. The low-equity organic farm could pay up to $2,893 an acre under similar terms while still covering costs. A high-equity organic farm under identical loan terms would be able to theoretically carry land with values as high as $8,678 an acre. Looking at it another way, to buy an acre of land, a conventional farm would need to risk three acres of already-owned land to make the purchase. A low-equity organic operation would have to risk 0.34 additional acre to buy the same land.